In our May edition of our Preemie Family newsletter we learned about the amazing Kaleb Moore born at 27 weeks and 3 days at 1 lb 10 oz. 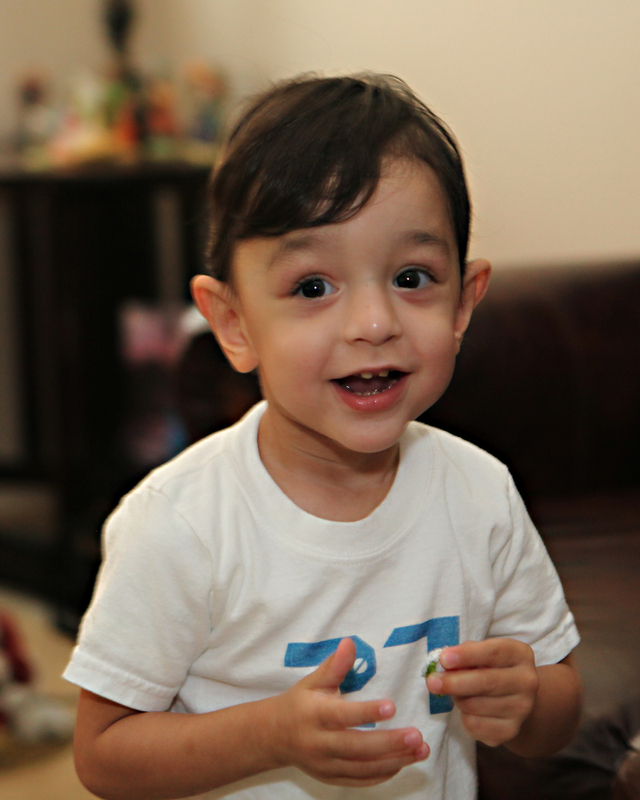 His mother Rosie shares with us an update on her precious son now at 2.5 years old. 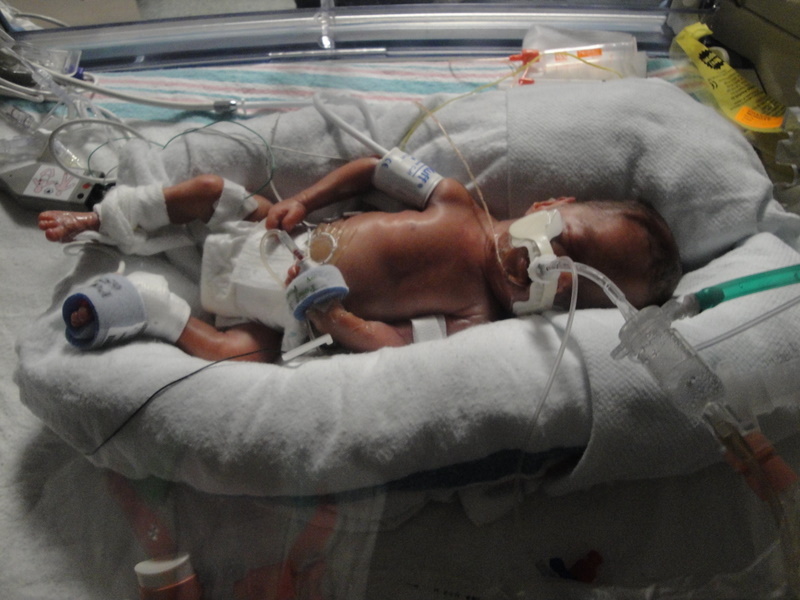 Kaleb has reached the 2.5 year mark in his life after being born at 27 weeks 1lb 10 oz on 10/13/09. He was originally due in January 2011. 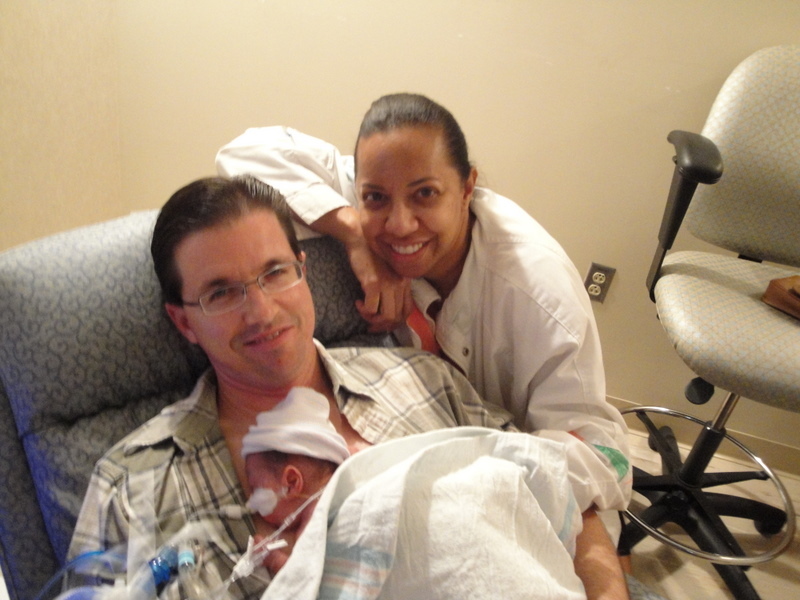 The experience that my husband and I endured in the NICU is not one I want to do again or wish on anyone to go through. But if someone is going through it, I can say take plenty of pictures daily so that when the baby is doing great and takes 3 steps backward, you can look at the pictures and say look at where he is now compared to where he was last week and he is surviving. The day Kaleb was going to be sent home, there were many preparations that needed to be in place. 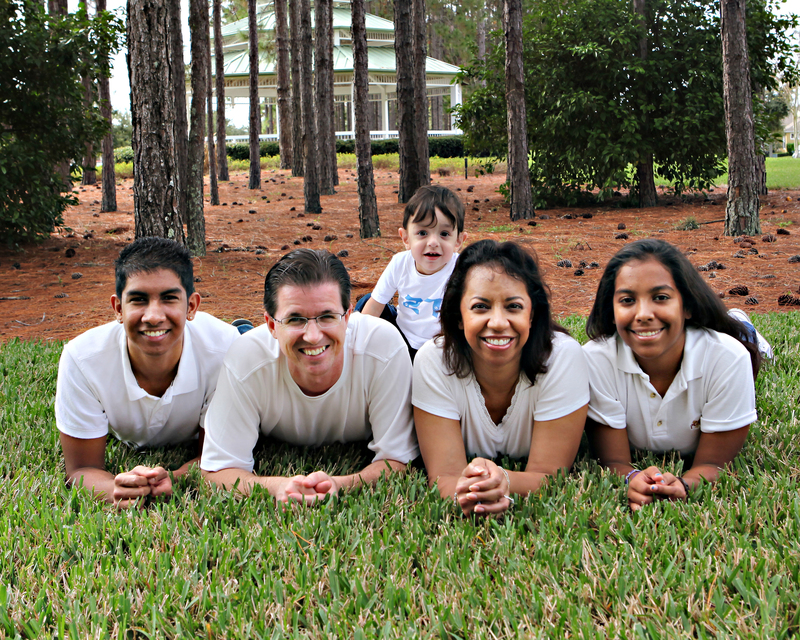 We had those preparations in place, but nothing prepared us for the biggest change that we would endure as a family. There was the oxygen, tube feedings every three hours, pulse ox checks, apnea monitors, breathing treatments four times per day, 18 daily medication dosages, therapy and a multitude of doctor visits. But the Lord was very good to us, because in the beginning of June 2010, we were determined with all that I described above to get on a plane and travel to NJ to visit our families and friends. What an ordeal, our carry ons were the baby’s equipment. We had a letter of medical necessity for each piece of equipment. We had the homecare company in Orlando arrange for all of his major equipment to be waiting at my sister in law’s house when we arrived and oxygen at the airport terminal. The baby could be without the oxygen safely for 2-3 hours per day. We did so well at this that we braved a beach vacation two weeks after that locally in Florida. We were on our way to transitioning to life with a special needs baby. I was forever changed by the experience, because I wanted to spend every bit of my time with him. However, I had to eventually go back to work. Earlier in the year, I was laid off from my most favorite job, it was the one that paid the bills. We tried to survive on our wedding and event business , but it took a hit from the economy as well. At the time, my husband had no choice but to leave his job to become a stay at home dad, taking care of our little pumpkin. He is currently an officiant for weddings so when he has a wedding or rehearsal to attend, thank goodness for Grandma, as she jumps right in, to care for Kaleb. We have to pre-plan our weekly schedules around his therapies so that he does not miss a session of occupational and speech therapy. The speech therapy has made great strides in helping with his feeding intolerance. Today, May 2012, Kaleb is off all medications, uses a breathing treatment when necessary for illness, is no longer in need of oxygen and machines to monitor his heart 24/7. He is also eating second stage foods and although he is not on table food he is getting bananas and softened apples down as well as baby biscuits. Although Kaleb only has one kidney and he still takes one tube feeding a day for extra calories, he is doing great. The faith we have in God, the prayers of family and the wonderful set of doctors, nurses and therapists that he had at Florida Hospital, is why Kaleb is where he is today. – Kaleb’s reunion with the team here. Check out Rosie’s book here. my tribute goes to all mothers of children specially young children, because it is the most difficult time of their lives.